Due to the ephemeral nature of these nappies it is quite rare to find them complete in their packaging. This pack is part of a two part disposable nappy. This nappy was designed by Valerie Hunter-Gordon, she was a mother of three and married to a soldier. She had looked to find something suitable for her children as an alternative to the traditional terry nappy but unable to find anything she designed her own system. She started to make these for friends and family at home on her domestic sewing machine and before long had made about 400. She went on to find a company Robinson & Sons to produce her product, signing an agreement on the 8th November 1949. This product was to change the lives of mother’s moving to a more disposable approach to rising their children, though this did come at a cost that some mothers were unable to afford. But it was a good time for the product just after the Second World War and there was a change in attitudes towards women. There were also many advertising campaigns in the fifties promoting the modern household and a modern gadget/methods of housekeeping. They demonstrated the Paddi Pads at the Daily Mail Ideal Home Show in 1952. The company sold 750,000 packs by the end of the year. It was a slow revolution but by 1960 sales had reached six million. 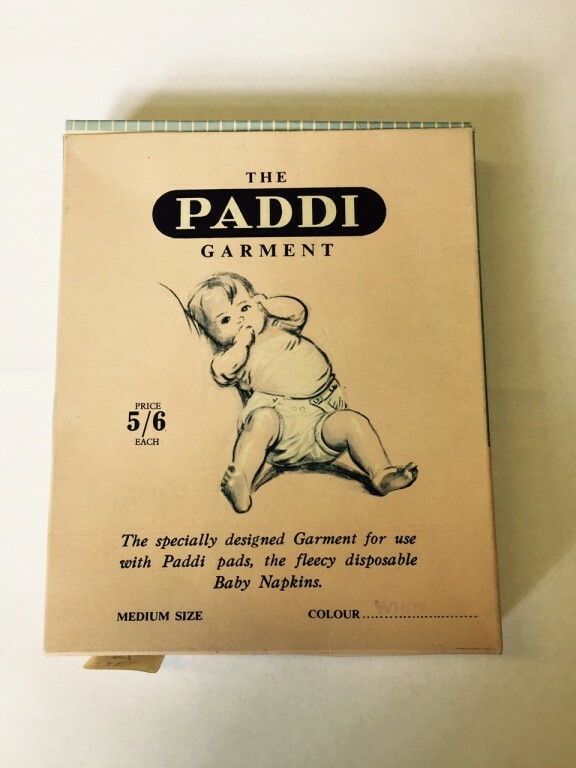 The Paddi Pads remained popular until the invention of the all-in-one nappy. 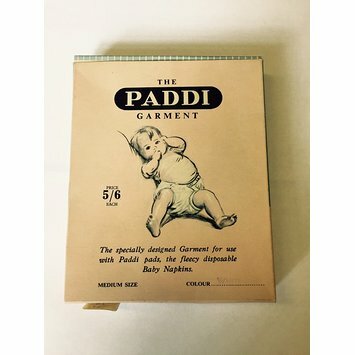 Though many British mother’s stuck to traditional methods, in 1975 less than 10% of nappy changes were made using disposables of any kind compared to 40% Italy and Germany, 70% France and 99% in Sweden.